A Webcomic of planetary dimensions and more vacuous than space itself. Vacuous means hilarious, right? 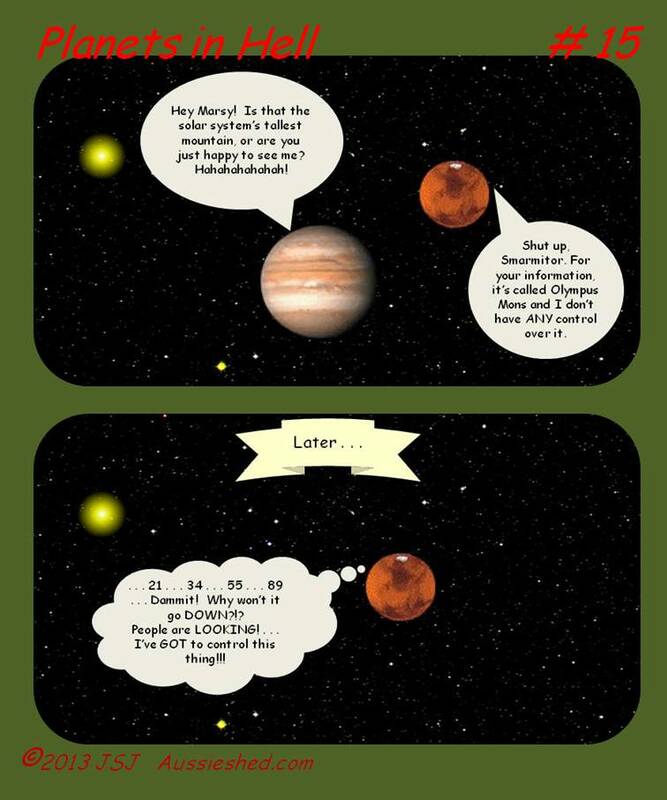 Of course the gas giants don't have problems like that. But they still get teased about their weight. And about being composed entirely of a socially unacceptable substance. Venus' embarrassing geological features can't even be seen through that thick layer of sulfuric acid and CO2 she always wears. She might get a date once in a while if she ever tried wearing something a little more flattering. But that might make Mars' little problem even worse, I imagine.
. . . not that I have any personal experience with that sort of thing. No, I was NEVER a teenager. Blog: A Shed Down Under. Anything that fits in a shed fits in this blog. The one fantasy author you need to read right now!